Go toSection->Contact->Google Maps (Drag and drop to your site). 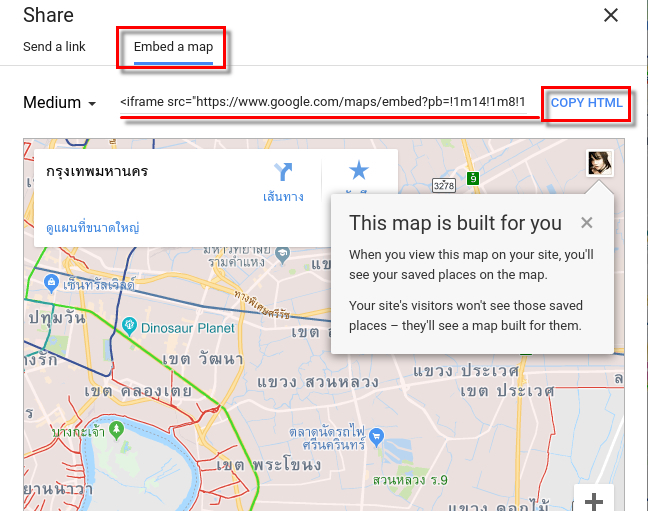 Then edit by clicking onadd Googlemapand fill your embed code. 1. Go to https://maps.google.com/ and pin or search your address. 4. Paste your code in RVsitebuilder, the map will appear automatically.